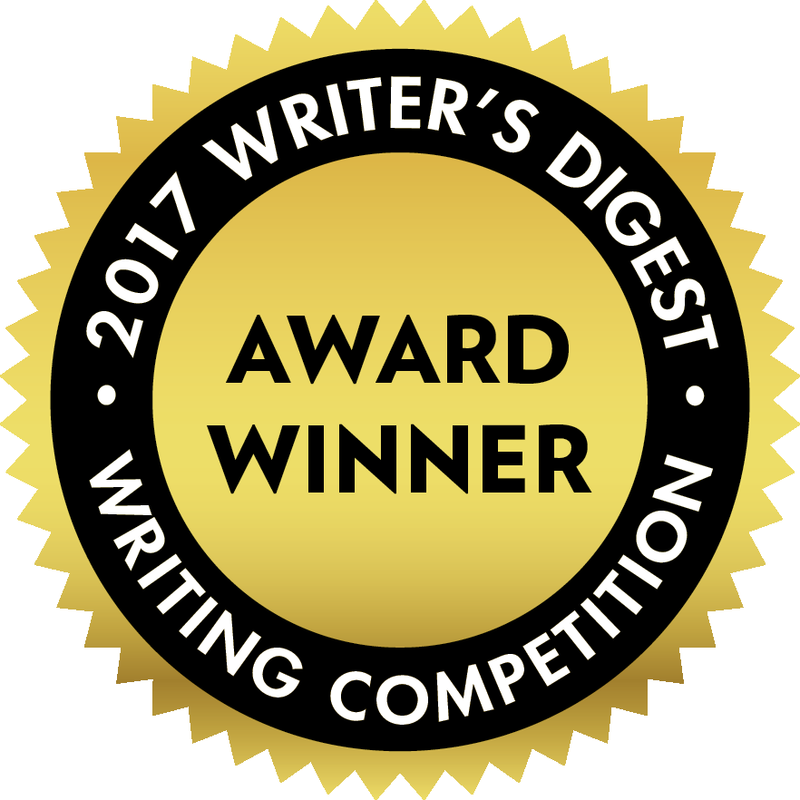 Mary Novaria : A Book is Born and I'll Gladly Tell You About it! A Book is Born and I'll Gladly Tell You About it! Have you ever had a conversation with someone that stayed with you long after the talking was over? Or maybe, sometime down the road, you recalled a piece of wisdom or advice and realized it had made an impact on you? Just this morning a friend shared she was working hard to find silver linings. Yes! I thought. Thank you for reminding me to stay grateful and focus on the positive. 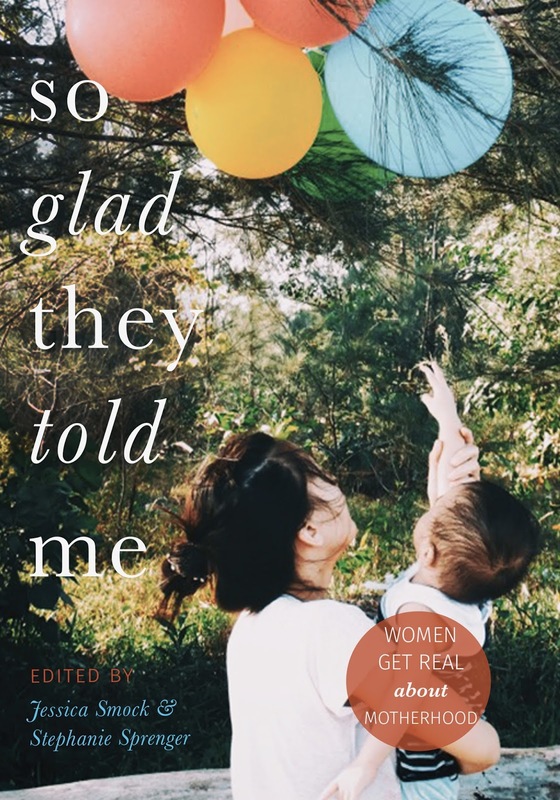 I bet if I paid close enough attention, I’d hear many things worth taking to heart and many opportunities to say, “So glad they told me!” In fact, a viral essay and a #SoGladTheyToldMe social media campaign inspired an essay collection filled with insights that moms took to heart. 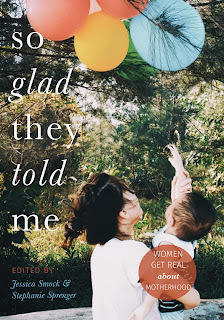 After more than a year in the making, today is launch day for SO GLAD THEY TOLD ME/Women Get Real About Motherhood (HerStories Press) and I’m thrilled to have an essay included in this book! I confess, there’s something very heady about holding a book in your hands and seeing your name and words on the pages. In my essay (on page 257! ), I come to a revelation about my high school daughter's future... and my own. Please check it out on Amazon and share this information with all the moms in your life because there’s something in here for every stage of parenting, from brand new mommies to empty nesters. The stories are full of compassion, honesty and practical advice. It’ll pull on your heartstrings, make you laugh, and maybe even cry. With beautiful, funny smart essays, this is a treasure full of voice, guidance, and best of all, quiet support for all of us. Because despite all of the love that goes into it, what mother hasn’t felt alone in the midst of the wonders of this role? The more voices of support for one another, the better. If you're not already following me on Twitter, please do! Tweet! Tweet! I lived it with you. Now I can't wait to read it! Congratulations, babe! Hi, Elana. Thanks so much for reaching out! The brand is Tinkyada Pasta Joy. I've used the spaghetti, lasagna and penne. All very good and not mushy like so many others. Best of luck to you! I can not even imagine how much time and effort you spent on writing this wonderful book, you are a wonderful person, keep it up! My mother wanted me to become a writer, but it did not happen and as a result during the university studies I even used to pay for an essay online.